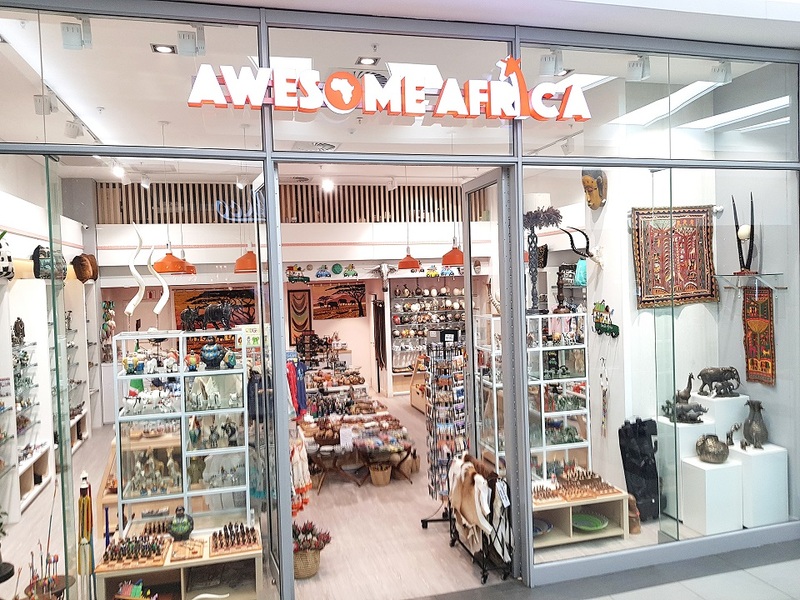 In the spacious Pearls Shopping Mall in Umhlanga Rocks is a bright and colourful gift shop called AWESOME AFRICA. African – or more precisely South African – it definitely is. 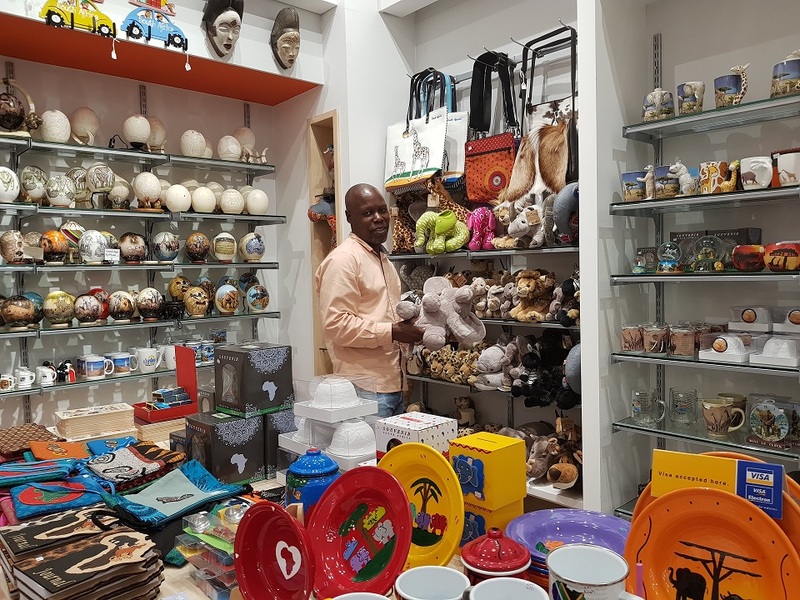 Most of the gifts on display are sourced and proudly made in South Africa. Now that really is awesome! 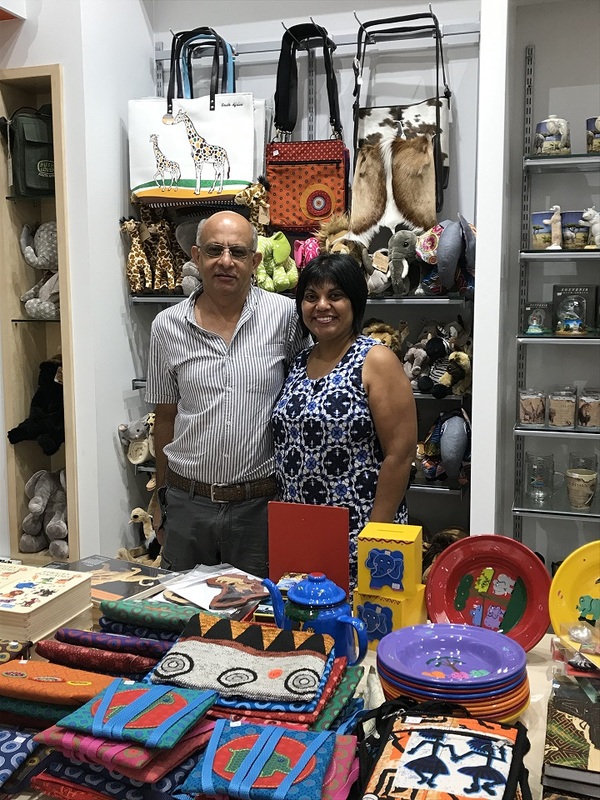 ‘Supporting South African-made products should be every local business’s priority,’ said owner Mohini Bhikha, who runs the shop with husband JP. In 2001 Mohini and JP made the bold move to take up retail space in a new shopping centre called Gateway and were there for 17 years. In December 2016 they relocated to the Pearls Mall on Lagoon Drive in Umhlanga Rocks, which is a ten-minute drive from King Shaka International Airport. John, their shop assistant, has been with the business for 10 years. AWESOME AFRICA is a wonderful source of gifts for foreigners travelling to our shores but is also well patronised by locals visiting family, friends or colleagues. And the variety, quality and type of wares make AWESOME AFRICA so much more than a curio shop. 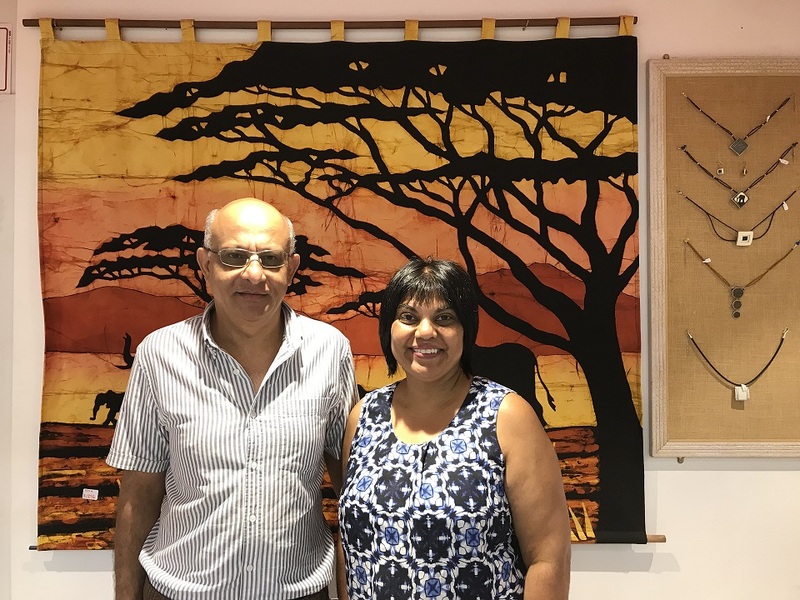 They are stockists of wine glasses, ceramic ware, telephone wire craft, and a variety of cushions with hand-painted, game skin, or hand-embroidered batik cushion covers. Wall hangings, table runners, Zulu beadwork jewellery, unique Sterling Silver and African costume jewellery, T-shirts for adults and children, cute Hooligans baby clothing and the most gorgeous Born in Africa soft toys fill the walls and shelves. There are tablecloths and throws, tea towels and magnets as well as Shweshwe bags and much more. Ostrich eggs on offer come hand painted, decoupaged, hand carved or scrimshawed and can even be made into table lamps. Interesting tea-light candles made from Monkey Apple fruit, and genuine-leather hats make up some of the unique items. There is a display of postcards (and even stamps on hand should customers require them). Many of the gifts are functional, while others are light and easy to travel with. JP and Mohini place a high premium on customer service and often go the extra mile to ensure satisfaction. Items can be packaged and posted to wherever customers require them. VAT-claim booklets – a guide for non-residents on how to claim VAT ‒ are available. And in an area where parking is at a premium it’s good to know that the Pearls Mall offers four levels of parking with the first 45 minutes free. Visit AWESOME AFRICA for an awesome variety of genuine high-quality South African gifts. It’s definitely a one-stop gift shop. Contact: 031-566-3281, 082 343 0163 (JP), info@awesomeafricangifts.com.